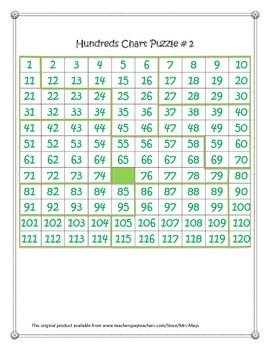 This product is intended as a math workstation aligned to CCSS Math 1.NBT.1 for numbers through 120. Just print, laminate, cut and learn! 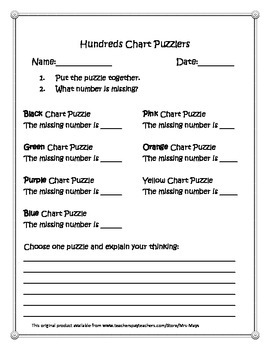 Students will enjoy putting together these colorful hundreds chart puzzles and finding the missing number. You'll enjoy how easy it is to prepare, and how easy it is to manage!